Holocaust Controversies: How many people were killed at Ponary? How many people were killed at Ponary? In the community Rudamina, in the small forest Paneriai,near the railway station of Paneriai, a neighborhood of Vilnius, the largest killing site in Lithuania during its occupation by Nazi Germany was located. Known as Ponary to Poles and as Paneriai to Lithuanians,the place was mainly used for killing Jews from the Vilna Ghetto, but Jews from other places, non-Jewish civilians and Soviet prisoners of war were also shot there. In this article the Polish name Ponary will be used. How many people were killed at this place is not known to this day. The Soviet commissions who investigated the killings in July and August 1944 estimated the number of victims at about 100,000, mostly on the basis of eyewitness accounts. This number is also mentioned as the maximum number of victims by Yad Vashem and by several historians. According to the inscription placed on the existing monument in Ponary, about 70,000 Jews were killed there between 1941 and 1944, while according to other data the figure was about 59,000. Estimates of the number of non-Jewish Poles killed at Ponary range from about 2,000 to about 20,000. Several internet sources also mention 8,000 Soviet POWs killed at Ponary, but the source of this claim is uncertain. At the other end there is our old friend Carlo Mattogno, who argues that the number of Jews killed at Ponary could not have been higher than 34,320. This is less than half the highest estimate of the number of Jewish victims, but still higher than the minimum number of victims (about 30,000) estimated at by the Würzburg Landgericht (Court of Assizes) at the 1950 trial of Martin Weiss and August Hering. What does the available evidence tell us about the number of people murdered at Ponary? Police Matters The Lithuanian police branches in Vilnius, subordinated to the Einsatzkommando, were given the task of drawing up current lists of names of Jews in Vilnius; first intelligentsia, political activists, and wealthy Jews. Subsequently, searches and arrests were made and 54 Jews were liquidated on July 4, and 93 were liquidated on July 5. Sizeable property belonging to Jews were secured. With the help of Lithuanian police officials, a search was started for Communists and NKVD agents, most of whom, however, are said to have fled. In Vilnius by July 8th the local Einsatzkommando liquidated 321 Jews. The Lithuanian Ordnungsdienst which was placed under the Einsatzkommando after the Lithuanian political police had been dissolved was instructed to take part in the liquidation of the Jews. 150 Lithuanian officials were assigned to this task. They arrested the Jews and put them into concentration camps where they were subjected the same day to Special Treatment. This work has now begun, and thus about 500 Jews, saboteurs amongst them, are liquidated daily. Because of a short surprise fire fight against the Vilnius Security Police Headquarters a special liquidation was carried out in excess of daily liquidation quotas. At that time the Vilnius area was being handled by Einsatzkommando (EK) 9 of Einsatzgruppe B, under the command of SS-Obersturmbannführer Dr. Alfred Filbert. On 9 August 1941 EK3 under the command of SS-Standartenfuehrer Karl Jäger took over. For the time during which EK9 was in charge, Filbert’s assistant Gerhard Oskar Paul Schneider reported that about 5,000 people had been executed until 20 July 1941. This order of magnitude is in line with the estimate by who was probably the most important contemporary eyewitness to the killings at Ponary, Kazimierz Sakowicz. In the diary of his observations at Ponary between 1941 and 1943, Sakowicz estimated that by the end of July 1941 about 5,000 people had been shot at that killing site. Who was Kazimierz Sakowicz, and how did he become a witness to the mass killings at Ponary? Historian Rachel Margolis, who essentially contributed to "deciphering" Sakowicz’s handwritten text and wrote the foreword to the first published English translation of the diary, tells his story based on information provided by Sakowicz’s relatives. Kazimierz Sakowicz was born in (then Polish) Wilno (today Vilnius) in 1894 and studied law in Moscow. After returning to Wilno he served on the staff of various journals and later opened a print shop. In 1939, when Wilno and the surrounding region were occupied by Soviet troops and handed over to Lithuania, Sakowicz had to close his print shop and find cheaper lodgings. He moved to a frame cottage in Ponary, a suburb of Wilno. From there he rode his bicycle back into town, taking odd jobs to support his family. The cottage was located in the woods, adjacent to an area where, during the period of Soviet control of Lithuania (1940-41), a fuel storage facility to serve the nearby airbase had been under construction. Large circular pits had been excavated for fuel tanks. The pits were connected by ditches in which pipes were to be laid. But the facility was never completed. Instead, the Nazis, who occupied Wilno on June 24, 1941, used the pits and ditches for the killing of Jews and other undesirables, mostly the former. On July 11, 1941, the first day of mass executions, Sakowicz and his wife heard the sounds of gunfire at the airbase. He immediately recognized the importance of recording the ongoing events, and from then on never missed anything that occurred at Ponary. From a hiding place in his attic he observed the executions taking place at one of the pits. He also made inquiries among his neighbors and talked with railroad employees, farmers who bought the victims' clothes, and the Lithuanian killers, or "Ponary riflemen'', themselves. He counted the number of people brought to the execution site, noted the numbers on the trucks and automobiles that carried the victims, and described the clothing the victims wore. Sakowicz's diary ends on November 6, 1943. According to a relative he continued writing until early July 1944, but that part of his diary was never found. Sakowicz was discovered in the woods on July 5, 1944, mortally wounded, next to his bicycle. His grave is located in the Rossa Cemetery in Vilnius, among graves of the fallen soldiers of the Polish Underground (Armia Krajowa). According to Yitzhak Arad, who wrote the preface to the English edition of the Ponary diary, Sakowicz was a Polish nationalist, who despised the Lithuanians and also had no sympathies for the Soviet Union in general and the local Soviet partisans in particular. Indeed this is what becomes apparent from Sakowicz’s diary entries. It is not clear whether Sakowicz had anti-Semitic bias, but such are suggested by his occasional scorn at the conduct of the Jewish victims, the way they went unresisting to their deaths and begged for mercy, in contrast to his proud description of the demeanor of the Polish victims, who he saw as behaving honorably in the face of death. Sakowicz’s total of about 5,000 for the period until the end of July 1941 tallies with Schneider’s figure for the period until about 20 July 1941. Not included in Schneider’s figure are the killings mentioned by Sakowicz in his diary entries for 1-2, 6, 8 and 11 August 1941. In the first three of these entries Sakowicz provided estimates of the number of people killed (600 on 1-2 August, 300 on 6 August and 200 on 8 August), whereas no number is given for 11 August. In his entry of 26 August 1941, Sakowicz wrote that there had been 10 executions in that month of August (on the 1st, 2nd, 6th, 8th, 11th, 16th, 19th, 22nd, 23rd, and 26th), in which 2,000 Jews had been killed. His figures for 1-2, 6, 8, 16, 19, 22, 23 and 26 August add up to 1,600, which suggests that the number killed on 11 August was in the order of 400. Although Jäger’s EK3 took over the Vilna area on 9 August 1941, the Jäger Report states that the first killings in ''Wilna Stadt'' took place in the period from 12 August to 1 September 1941. Jäger’s figure for that period (461) matches the sum (500) of Sakowicz’s figures for the August days 16 (200), 19 (100), 22 (100), 23 (12) and 26 (88). This suggests that the shootings on 11 August were still carried out by EK9, or that the executioners on that day were Lithuanians acting on their own initiative. • Sakowicz could only estimate the number of victims, whereas Jäger’s executioners obviously counted them. • Sakowicz didn’t keep his diary in strict chronological order, with some entries obviously having been made some time after the date they refer to. He may thus have mixed up events on several days. • Some of Sakowicz’s entries may have been based not on personal observation but on information he obtained from others. Sakowicz’s figures for the killings for which he provided figures add up to 14,200, as shown in Table 1. The numbers in the Jäger Report for killings in "Wilna-Stadt" between 12.08 and 25.11.1941 add up to 21,273. Adding the about 5,000 killed in July 1941 according to both Sakowicz and Schneider, and another 1,500 for the killings on 1-2, 6, 8 and 11 August 1941 mentioned by Sakowicz, yields a total of 27,773 people killed at Ponary until the date of the Jäger Report, 1 December 1941. After 1 December 1941 executions at Ponary were more sporadic and, with one exception mentioned below, on a much smaller scale. I’m not aware of documentary sources that would allow for establishing numbers regarding these executions. However, the executions were monitored by two observers, Sakowicz and an inhabitant of the Vilna ghetto, Hermann Kruk, who kept a diary that recorded events in Vilna from the beginning of the German occupation until 14 July 1943, after which date he was deported to a labor camp in Estonia, where he perished. Unlike Sakowicz, who directly witnessed most of the killings he described, Kruk recorded what he had learned from sources inside the ghetto, including some direct witnesses, about the killings he described in his diary. Sakowicz and Kruk are the primary sources whose information I compared in the Table 2 below. Additionally I used two secondary sources, the notes of the editor of Sakowicz’s Ponary Diary, Yithzak Arad, and Tadeusz Piotrowski’s list of executions at Ponary in which the victims were non-Jewish Poles, according to Polish Underground reports from 1942-1944. The principal source among the above is Sakowicz’s diary, not only because he was a direct eyewitness to most killings he described and recorded most though not all of them (the latter he expressly stated on at least on one occasion, in his first entry for July 1942), but also because his entries cover a longer period than Kruk’s; after the latter’s deportation to Estonia, Sakowicz was the only day-by-day source left. Sakowicz’s entries moreover contain information about the counted or estimated number of victims, or at least information that allows for making an estimate based on default assumptions regarding the occupancy of vehicles, which in turn are based on figures stated in other entries (e.g. 8 victims at most in a "car", which might be a small van, 20 victims at most in a smaller truck, 50 in one of the large Deutsche Reichsbahn trucks that appeared for the first time on 27.9.1943, following the liquidation of the Vilna ghetto). The sum of daily killing numbers stated by or inferred from Sakowicz’s diary entries is 6,595, which added to the 27,773 killed before 1 December 1941 yields a total of 34,368 killed at Ponary until 3 November 1943, the date of the last killing recorded by Sakowicz. Kruk’s figures for the 1 December 1941 – 3 November 1943 period add up to 4,179 (the difference being also but not only due to Kruk’s diary ending on 14 July 1943). Piotrowski’s total of 1,105 refers only to non-Jewish Poles shot at Ponary. If one adds up the highest figure claimed by any of the four sources for each of the listed days, the sum is 9,402. This can safely be considered the absolute maximum number of deaths at Ponary in the 2 December 1941 – 3 November 1943 period, also because my default assumptions regarding Sakowicz’s diary entries may be on the high side. Adding this number to the 27,773 killed until 1 December 1941 yields 37,175 as the maximum number of deaths at Ponary during the whole period from the beginning of the German occupation until 3 November 1943. The by far largest mass killing of the 2 December 1941 – 3 November 1943 period didn’t involve Jews from the Vilna ghetto. The victims were Jews from four ghettos in eastern Lithuania near the border with Belorussia—Swieciany, Mikhalishki, Oszmiany, and Soly. They were told that they would be moved to Wilno, Kovno, and several labor camps, but instead they ended up at Ponary, where 3,800 – 4,000 were killed on 5 April 1943. The massacre figures prominently in the diaries of both Sakowicz and Kruk. Sakowicz called the day "Judgment Day" and described the killing at great length. While not an eyewitness like Sakowicz, Kruk nevertheless recorded in several entries the shock that the Vilna ghetto’s inhabitants felt upon learning about the massacre. 2. The killing of about 95 Jews employed in disinterring and cremating the victims of Ponary (25 of the 40 who attempted to escape through a tunnel, plus 70 from the Kailis camp sent to replace them). 3. The murder of hundreds of Jews discovered in hiding places in Wilno after the liquidation of the ghetto and of elements of the non-Jewish population hostile to the Germans. Assuming about 1,000 deaths for items 1, 2 and 3 (a figure very much on the high side)  and the highest (probably exaggerated) number for the massacre on 3-4 July 1944, the death toll of Ponary during the post-Sakowicz period would be about 5,000. Adding these to the above-mentioned 37,175 yields a total of about 42,175 people killed at Ponary. This number should be seen as a maximum for several reasons. First of all, the figures that make up this number, as concerns the period after the date of Jäger’s report, were deliberately assumed to be the highest figures available in related sources. Second, it is unlikely that Schneider (EK9) and Jäger (EK3) underreported the numbers killed between June and December 1941. It is equally unlikely that mass killing by EK3 of Jews from outside the "Wilna-Stadt" area was carried out at Ponary. As concerns the period between 1 December 1941 and 3 November 1943, there is no reason to assume that there were major killings not recorded by Sakowicz and/or Kruk and/or the Polish Underground. As concerns the post-Sakowicz period, there is no evidence to suggest that any mass killings other than those mentioned above took place. The maximum total estimated here is somewhat higher than the above-mentioned figures of Mattogno and the Würzburg Court of Assizes at the 1950 trial of Martin Weiss and August Hering, but much lower than the other figures mentioned at the beginning of this article. The highest of these exaggerated figures, the about 100,000 estimated by the Soviet investigation commissions in July and August 1944, is the one that is easiest to understand. The Soviets didn’t have the diaries of Sakowicz and Kruk at their disposal, and the investigation reports don’t mention the Jäger Report, which suggests that it was not known to the investigators at the time. The mass graves, in most of which only cremation remains were found, were more than large enough to take in 100,000 bodies. And the testimonies by some of the few forced laborers employed in cremation who had managed to escape suggested such order of magnitude. We do not have precise figures for the population and ethnic composition of Wilno on the eve of the German invasion. The last prewar census was conducted in 1931, when the city was under Polish rule. It listed 195,000 residents of the city, including 128,000 Poles (65.6 percent), 54,600 Jews (28 percent), and 2,000 Lithuanians (1 percent). The remaining 10,000 (5 percent) were Belorussians, Russians, Ukrainians, and others. This enumeration distorted the true picture. Because Wilno was a bone of contention between Poland and Lithuania, the Polish authorities wanted to show that the Lithuanians constituted a negligible minority in the city by inflating the number of Poles. According to Lithuanian documents submitted to the Germans after the German occupation, Lithuanians constituted 30 percent of the population and Jews nearly 40 percent; the balance were Poles, Belorussians, Russians, and others. There is no doubt that these numbers overstated the number of Lithuanians in the city. But both the Polish and Lithuanian figures yield an estimate of some 60,000 Jews in Wilno on the eve of the German invasion, including refugees from Poland. The Germans entered Wilno on June 24, 1941, two days after the start of the invasion. In those two days about 3,000 Jews managed to be evacuated or flee to the Soviet hinterland, leaving about 57,000 Jews in the German-controlled city. As the total number of Vilna Jews killed by the Germans cannot have exceeded 37,000, the number of Jews in Vilna on the eve of the German invasion was either much lower than 60,000, or then a far higher number than assumed by Arad managed to get away before the German occupation. 29,000 Jews entered Vilna Ghetto 1, and 11,000 Jews went to Ghetto 2. Altogether, 40,000 Jews. Relying on our estimate of a [round figure] of 60,000 Jews in Vilna, only 39,000 [?] entered the ghetto, which means that the Snatchers and all others dragged off or annihilated 21,000 Jews before the Jews went into the ghetto. […] Thus the sad balance is: In both ghettos, there were about 40,000 Jews. On January 1, there was only one ghetto. According to the bread cards distributed, there were in this ghetto 12,600 Jews. Thus, altogether: Before the ghetto, as we have indicated, the number of those destroyed was: 21,000 Jews During the ghetto period: 26,447 Jews With a trembling hand, I calculate: 47,447 Jews. The Vilna ghetto was established on 6 September 1941. According to Schneider, Jäger and Sakowicz, the number of people (including non-Jews) killed at Ponary before 6 September 1941 was 10,661 (thereof 4,161 by EK3, 4,144 of them Jews). Between 12 September and 25 November 1941 EK3 killed 17,112 people in "Wilna-Stadt", thereof 17,090 Jews. Proportionately more exaggerated than the estimates of Jewish deaths by Arad and Kruk are estimates whereby about 20,000 non-Jewish Poles were killed at Ponary. The executions of non-Jewish Poles reported by the Polish Underground claimed at total of about 1,200 victims. Even assuming that these reports don’t cover all executions, a total figure above 2,000 seems highly improbable. As concerns other victims of Ponary including Soviet prisoners of war, Sakowicz’s diary entries suggest a death toll in the low hundreds at most. Considering what is known about the fate of Soviet PoWs in German captivity elsewhere, one would expect most out-of-hand killings of such prisoners at Ponary to have taken place in 1941. The number of non-Jews killed by EK3 in "Wilna-Stadt" was 39 according to the Jäger Report, thereof 9 Soviet prisoners of war (6 on 19 November and 3 on 20 November 1941). Like in many other camps throughout Eastern Europe and in the Reich, Soviet PoWs died like flies, mostly from starvation, disease and exposure, in camps on Lithuanian territory, including the camp at "N. Wilna", mentioned in the letter sent by the Health Administration of Wilna County to the Regional Commissioner Wilna Land dated 30 July 1942. But there is no indication that EK3 "shared" the Ponary killing site with units in charge of shooting political commissars and other categories of Soviet PoWs singled out for liquidation. There is also no hard evidence that such killings took place on a significant scale after the date of the Jäger Report. Twice a motorcycle with a sidecar arrived, bringing Jewish women who lay in the sidecar like meat, and on them a Lithuanian sat as if on a pillow. What is going on? It turns out that when the Jewish women were detained, they jumped from the car onto the pavement. In Dolna, 2 Jewish women lay with broken legs. They were all collected by the motorcycle, and the wailing women were thrown into the sidecar like meat. And because they weren’t meat and there wasn’t enough room, he sat on them, since in any case they would be shot soon. At the base shooting finishes off the wounded. After a long intermission again a truck full of Jews, mainly children and women. They were shot in the pit near Rudzinski’s. The victims had already undressed in the truck and were naked—to the pit. The Lithuanians shot from above, as if at pheasants. Near the pit a barrel with chloride stands now. Now the barrel always stands ready. The badly wounded, pretending to be killed, have chlorine poured on them. The Lithuanians say that the Jews often begin to jump up when the chlorine is shoveled on them. But those who “jump up” are finished off. Thanks to my fellow bloggers Nick Terry and Sergey Romanov for the copies of Kruk’s and Sakowicz’s diaries they made available to me. The location is thus described in letter sent by the Health Administration of Wilna County to the Regional Commissioner Wilna Land dated 30 July 1942, LCVA (Lietuvos Centrinis Valstybės Archyvas = Lithuanian Central State Archives) R613/1/10, fl. 70 (facsimile, transcription and translation). The letter mentioned "several round-shaped burial places with a diameter of 30 m", which were under the constant vigilance and control of the German Security Police. Regarding these mass graves see the article Mattogno on the Mass Graves at Ponary (Part 3). Piotr Niwiński, Ponary. The Place of "Human Slaughter" (brochure in Polish, Lithuanian and English). Regarding the July 1944 investigation see Зверства немецко-Фашистских Захбатчиков. Документы. Выпуск 15 (Atrocities by German fascist invaders. Documents, Issue 15), Moscow, 1945, pp. 38-40; this collection can be downloaded here. Regarding the August 1944 investigation see A(lexey) Yakovlev, The Tragedy of Lithuania: 1941-1944. New documents on crimes of Lithuanian collaborators during the Second World War (hereinafter "Tragedy"), a document collection that is available online in the Russian original (Трагедия Литвы: 1941–1944 годы). The report in question is reproduced on pp. 34-42 of the collection’s English translation, pp. 50-63 of the Russian text. Regarding the dating of the report see the article Mattogno on the Mass Graves at Ponary (Part 1). See Tadeusz Piotrowski, Poland’s Holocaust. Ethnic Strife, Collaboration with Occupying Forces and Genocide in the Second Republic, 1918-1947, 1998 McFarland & Company, Inc., Publishers, pp. 175-176: "Of the approximately 170,000 Jews murdered in the General Commissariat of Lithuania throughout the war, about 60,000 died at Ponary. According to István Deák, from 70,000 to 100,000 people, including Jews and Poles, died there between 1941 and 1943. According to Roman Korab-Żebryk, the Ypatingas Būrys show more than 100,000 people in Ponary over three years. Longin Tomaszewski uses the same estimate and adds that of these 75 percent were Jews and the rest consisted of Soviet and Polish POWs, Tatars, Gypsies, Belorussians and even some Lithuanians. The Soviet POWs were all Polish citizens. His estimate for ethnic Poles is ‘several thousand’. 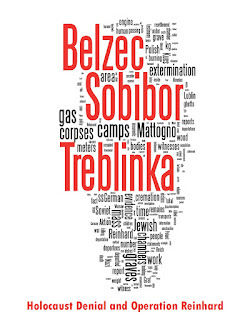 Zdiszław A Siemaszko states that among the victims were approximately 1,700 Poles, including many AK members." Niwiński, as above, p. 25. The Wikipedia page Ponary massacre refers to Piotrowski, as above p. 168 and to Kazimierz Sakowicz, Yitzhak Arad, Ponary Diary, 1941–1943: A Bystander's Account of a Mass Murder, Yale University Press, 2005. However, none of these sources provides a figure on the number of Soviet POWs killed at Ponary. In their respective prefaces to Ponary Diary Rachel Margolis mentions "the murders of some 50,000 to 60,000 Jewish men, women, and children by the Nazis and their Lithuanian collaborators" and Yithak Arad speaks of "the mass murder of some 50,000 to 60,000 men, women, and children", the vast majority Jews plus a few thousand "Poles, Communist cadres, Soviet prisoners of war, and some anti-German Lithuanians". Carlo Mattogno, Gli Einsatzgruppen Nei Territori Orientali Occupati. Parte II: L’"Azione 1005" (2017 Effepi Edizioni, Genova), pp. 272-273. LG Würzburg vom 3.2.1950, Ks 15/49, published in Justiz und NS-Verbrechen, Bd. VI, Lfd.Nr.192. Weiss was given a life sentence for accessoriness to murder in "at least thirty thousand cases". English translation in Arad, Yitzak, Shmuel Krakowski and Shmuel Spector, editors, The Einsatzgruppen Reports. New York: Holocaust Library. 1989. pp. 13 – 15. English translation in Arad et al, as above pp. 22 – 24. English translation in Arad et al, as above pp. 29 – 33. LG Berlin vom 22.6.1962, 3 PKs 1/62, published in Justiz und NS-Verbrechen, Bd.XVIII, Lfd. Nr. 540. Filbert, who commanded Einsatzkommando 9 from June to October 1941, was sentenced to lifetime imprisonment on account of, among others, mass killings at Ponary committed by his unit and its Lithuanian auxiliaries. The date is stated on the first page of the Jäger Report. LG Berlin vom 22.6.1962. According to the court’s findings of fact there had been shootings at Ponary from about 4 to 20 July 1941. The court also mentioned that Schneider tended to round upwards the figures he reported, and assumed that at least 4,000 had been killed in this period. Ponary Diary, pp. 13-14 entry under July 23, 1941. Sakowicz estimated that 4,675 people had been killed in 17 daily executions of 250-300 people each, all but one of them males. Additionally a few or a few dozen people were brought daily by car, "probably Communist big-shots", so that altogether about 5,000 people had been shot. Ponary Diary, Foreword, pp. ix – xi. The mass execution on 2 September 1941, which claimed at least 4,000 lives according to Sakowicz and 3,700 according to Jäger, was "a punishment for the bogus shooting at German soldiers in Wilno on Sunday, August 31", according to Sakowicz’s entry for that day. The Jäger Report stated that it was a "special action" because Jews had fired on German soldiers ("Sonderaktion, weil von Juden auf deutsche Soldaten geschossen wurde"). On 25 October the procession of the death candidates "was made up exclusively of women old and young, children in carriages, suckling babies" according to Sakowicz; this observation dovetails with the entry in the Jäger Report for the same day, according to which the executed were 1,766 women and 812 children. In the execution contingent on 27 August "nearly all" were men according to Sakowicz, and men made up the overwhelming majority of those killed on that day according to Jäger (946 men, 184 women and 73 children). Figures roughly match for the period from 12.8. to 1.9.1941 (500 according to Sakowicz, 461 according to Jäger, thereof 425 male Jews, 19 Jewesses, 8 male and 9 female Communists; the number of females shot in this period was 28 according to both Sakowicz and Jäger, except that the latter mentioned 19 Jewesses and 9 female Communists, the two categories not being however mutually exclusive), 2.9.1941 (about 4,000 is Sakowicz’s lowest figure, Jäger mentions 3,700). For 12 September 1941 Sakowicz’s figure is considerably lower (2,000) than Jäger’s (3,334 due to an addition mistake, the correct addition yields 3,434). The same goes for 21 October 1941 (1,000 according to Sakowicz, 2,367 according to Jäger). For the period from 17 to 19 November 1941 the figure of Jewish women alone provided by Sakowicz (200) is higher than Jäger’s total of Jewish men, women and children recorded under 19 November (76+77+18 = 171). 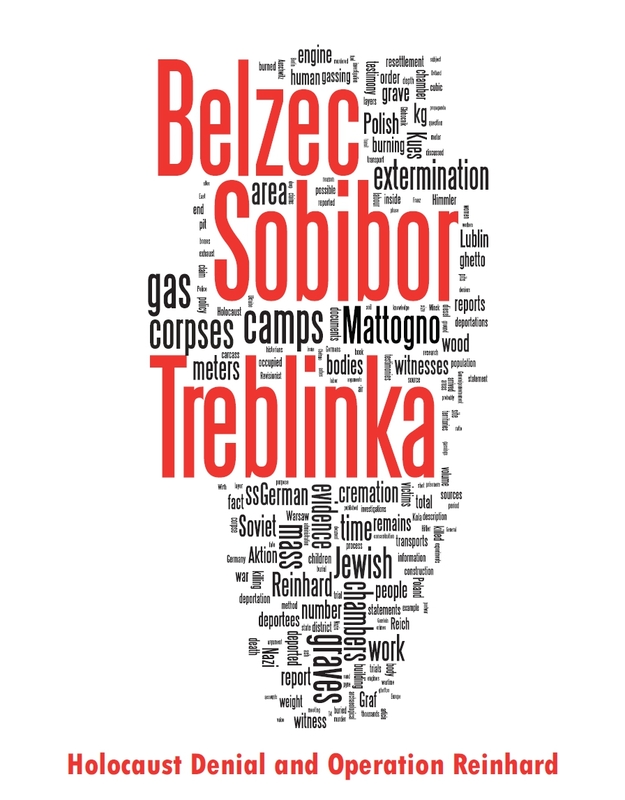 For the period from 21 to 25 November 1941 Sakowicz provided no information of the number killed, but his description of events ("nine trucks" on the latter date) suggests a higher number of victims than that recorded by Jäger for this period (1 Pole and 63 Jews, thereof 9 men, 46 women and 8 children). For instance, in his first entry for October 1941 Sakowicz mentioned that there had been shootings on October 2, 3, 16, 21, 25 and 27. Yet Sakowicz later mentioned another execution, on 30.10.1941, which had not been mentioned in his first October 1941 entry. With the correction for 12.9.1941 mentioned above. Of these 21,234 were Jews and 39 were non-Jews. Kruk’s diary, originally written in Yiddish, was published in English translation under the title The Last Days of the Jerusalem of Lithiania. Chronicles from the Vilna Ghetto and the Camps, 1939–1944 (2002 Yale University Press, New Haven and London). Ponary Diary, pp. 67-69 (Arad’s introductory notes) and pp. 70-83 (Sakowicz’s account). Under April 5 1943 Kruk wrote: "The tale spreads from ear to ear that the trains from Oszmiana and Swieciany were taken, along with the Jewish police, to . . Ponar." Later under the same date he wrote: "Everything we have written above is no rumor. Now it is clear: instead of going to Kovno, the trains from Oszmiana and Swieciany went to Ponar . . . 83 cars with more than 4,000 Jewish victims were taken there" (Last Days, p. 500). The number 4,000 also appears later in the entry for that day. Under April 10 1943 Kruk wrote: "As we know now, about 3,800 Jews have been killed." He also mentioned having learned about a Gestapo report whereby 5,000 had been killed on 5 April, and wondered why the Gestapo had exaggerated the number (Last Days, p. 510). The massacre is also mentioned in Christian Gerlach, Kalkulierte Morde. Die deutsche Wirtschafts- und Vernichtungspolitik in Weißrußland 1941 bis 1944 (Hamburger Edition, 2000), p. 735. In the related footnote Gerlach mentions, among other sources, a report by the Commander of Security Police and Security Service of Lithuania for April 1943. Update, 21.09.2018: A copy of the mentioned report is kept in the Lithuanian Central State Archives in Vilnius. The archival reference of the relevant page is LCVA-R1399-1-26, fl. 55. A color copy, a transcription and a translation of this page are available here. Ponary Diary (Arad), p. 144. Зверства немецко-Фашистских Захбатчиков, p. 40. "Die Pflicht des Majors", article in Spiegel magazine, 30.04.2001 (online). An unnamed witness quoted in the "Special Report of the 8th Department of the 4th Office of NKGB USSR on Atrocities in Ponary" dated 14 August 1944 (reproduced in Tragedy, pp. 18-31) claimed that in the last week of March 1944 alone 450 Jews, 50 gypsies and 15 Poles had been shot at Ponary. According to the same witness, the Germans supervising the cremation had told the workers that there were about 80,000 bodies lying in the soil of Ponary, thereof 55,000 Jews. The "Teilkommando des EK3 in Wilna" also committed massacres at Nemencing (20.9.1941), Novo-Wilejka (22.9.1941), Riesa (24.9.1941), Jahiunai (25.9.1941), Eysisky (27.9.1941), Trakai (30.9.1941), Semiliski (6.10.1941) and Svenciany (9.10.1941). However, later reports by district medical officers about mass graves in their areas show that these killings were done and the victims were buried on site. Mass graves at Trakai and Semiliski are mentioned in the letter that the District Medical Officer of Trakai sent to the Regional Commissioner Vilna Land in Vilna on 8.7.1942 (LCVA R 613/1/10 fl. 69+RS; facsimile, transcription and translation). Mass graves at Nemencing (Nemenčinė), Riesa (Rieše) and Jahuinai (Jašiunai) are described in the already mentioned letter sent by the Health Administration of Wilna County to the Regional Commissioner Wilna Land dated 30 July 1942 (see note 1). The mass grave at Mickūnai mentioned in the same letter probably corresponds to the massacre at Novo-Wilejka mentioned in the Jäger Report. Mickūnai is just 7.5 km by car from Naujoji Vilnia (=Novo-Wilejka), according to Google Maps. A further indication supporting my death toll estimate for the whole period covered by the Ponary Diary can be found in Kruk’s entry under November 16, 1942. Kruk quotes an illegal Polish newspaper, according to which out of 55,000 Jews in Vilna 40,000 had been killed and only 12,000 remained (Last Days, pp. 413-414). It stands to reason that this Polish source would have exaggerated rather than understated the number of victims. See my article Mattogno on the Mass Graves at Ponary (Part 2). As already mentioned, one of these witnesses spoke of about 80,000 corpses. Another witness, Matvei Fedorovich Zeidel, whose deposition is quoted in the report of the August 1944 commission, claimed that until April 1944, when he and others had managed to escape, 80-90,000 corpses had been cremated (Tragedy, p. 38). From the aforementioned total of 42,175 at least the about 4,000 victims of the massacre on 5 April 1943 (who were not from Vilna) and the 1,205 non-Jews killed at Ponary according to Polish Underground Reports must be deducted. Regarding Belorussia see Gerlach, Kalkulierte Morde, pp. 834-859 (translation available here). The witness Zeidel, whose testimony is quoted in the report of the August 1944 Soviet investigating commission, stated the following: "About 2,000 more corpses were laid on another fire, generally Red Army men and officers, and also 500 corpses of monks and priests." (Tragedy, p. 38). This would mean that 1,500 of the corpses were Soviet PoWs. However, such order of magnitude is not borne out by Sakowicz’s diary entries, and Zeidel’s having mentioned 80-90,000 corpses destroyed until April 1944 speaks against the reiliability of his estimates in general. Regarding the number of Jews in Wilno at the start of the occupation and their subsequent fate, a Soviet census/registration in January 1941 counted just over 58,000 Jews in Vilnius; Christoph Dieckmann estimates that 50,000 remained by the time the mass shootings began, with many thousands fleeing into Belorussia and being caught up in actions and ghettos there (eg Lida, some even reached Minsk). Vilnius fell on 24 June 1941, so the flight of refugees would have happened before and after the initial occupation. He does not estimate more victims in the first weeks through to July 1941 but unsurprisingly relies on Sakowicz and other sources supporting his figure of 5,000 killings in this phase. According to my calculations a maximum of about 37,000 Vilna Jews were killed at Ponary. To these must be added the deportees out of Vilna, in order to establish the approximate number of Jews in Vilna who came under German rule. According to Arad's notes in the PD there were up to 19,000 Jews left in the ghetto when the liquidation started in August 1943. Of these about 7,000 were deported to labor camps in Estonia in August and early September, leaving up to 12,000. Of these up to 5,000 were deported to Sobibór and about 3,500 were deported to Estonia or to Latvia on 24 September 1943, leaving 3,500 in Vilna (2,500 in the HKP and Kailis labor camps, the rest in hiding). So a total of up to about 15,500 were deported out of Vilna, which added to the aforementioned 37,000 yields up to about 52,500 Jews who lived in Vilna under German occupation at one time or the other. Thanks, but it’s not that much. All I did was to compare sources that count (or allow for more of less counting) the bodies day by day or at least massacre by massacre, instead of relying on before and after population estimates. The exercise is so simple that I wonder why Arad, Margolis and the historians mentioned by Piotrowski never did it. Worse than them is Mattogno, of course. He doesn’t even mention Sakowicz’s diary, unless I missed something. Thanks, I’ll have a look at these articles. Regarding the escapes of Jews from Vilnius in 1941 to towns in mostly, northeastern Belorussia (like Lida), I remmeber that Gerlach's Kalkulierte Morde cites a number of examples and sources in his section on the Holocaust in 1941. There would also be some further sources in yizkor book translations on jewishgen.org to help illustrate/cement the point if wished. Dieckmann's magnum opus reaches similar conclusions to Roberto, although I'm not sure if he felt it necessary to calculate an overall Ponary death toll. It is truly an exhaustive study of the Holocaust in Lithuania as well as the occupation as a whole. And no, Mattogno did not use Sakowicz, although we mentioned this source in the 2011 white paper. Dieckmann's Deutsche Besatzungspolitik in Litauen 1941-1944 looks like the equivalent for Lithuania of what Gerlach did for Belarus back in 1999/2000. Guess I'll have to read it. Great piece, Roberto. Much as I've looked at Vilna, I never sat down and worked all the numbers out - thank you for undertaking this labor. One complicating/misleading population report is the one from the Wehrmacht's 403rd Security Division estimating the city's Jewish population at 80,000 at the time of the occupation. Sutzkever gave the same figure in his IMT testimony. The difference between this estimate and Jäger's 15,000 "work Jews" and "their families" creates a misimpression. On one end, along with issues you raise, Jäger overlooked 1000s of Jews (I recall estimates of around 10,000) hiding and living illegally in Vilna by late fall 1941. I've long thought that the 403rd's 80,000 is an overestimate, like you, by something like 20,000 - the January 1941 census helps confirm this thought - I don't think I was aware of this census. My much less painstaking estimates than yours, found in my notes, were "more than 30,000" and "37,000-40,000" Vilna Jews killed at Ponary. It is really great to have this done rigorously. Kudos! So helpful . . .
Winston, p.196 estimates 23,000 left in the ghetto as of the census of 27.5.42. Roberto: "Dieckmann's Deutsche Besatzungspolitik in Litauen 1941-1944 looks like the equivalent for Lithuania of what Gerlach did for Belarus back in 1999/2000. Guess I'll have to read it." It's expensive, but very much worth it. Bd.1 includes a detailed treatment of the period under military administration until the end of July 1941 and the initial shootings/pogroms, Bd.2 covers the Holocaust after July 1941 through to 1944 with extensive treatments of the surviving ghettos and their 'satellite' labour camps, along with chapters on the fate of Soviet POWs, antipartisan warfare, etc.